Participants of the Guyana National Faith Leaders Consultation in August, including faith leaders and leaders of key populations, were privileged to hear from Hon. Dr Karen Cummings, MP, Minister within the Ministry of Public Health, Guyana. 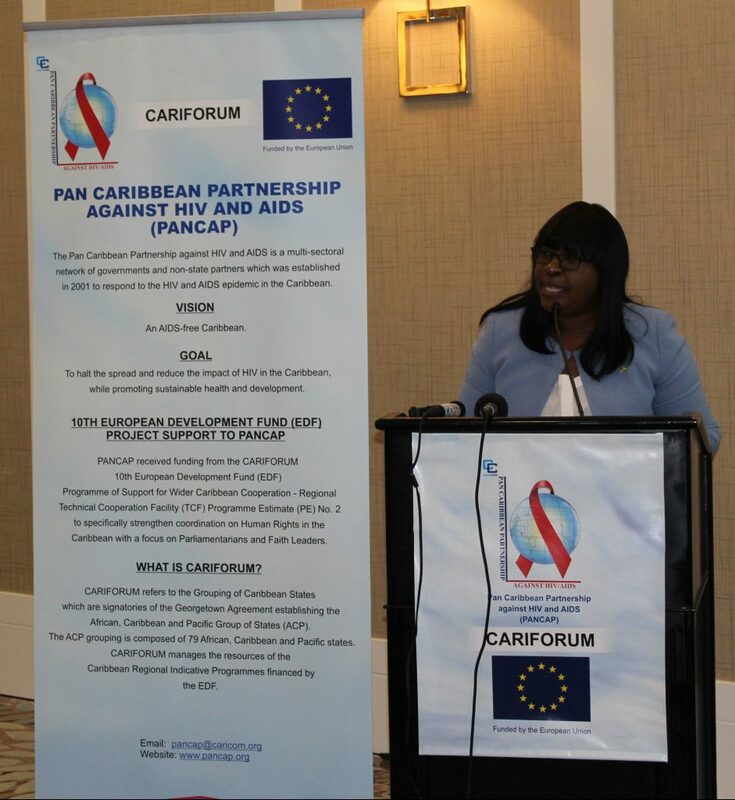 While Minister Cummings reflected on the progress made in the region’s HIV response, including the seven Caribbean territories being validated for the elimination of mother-to-child transmission of HIV and syphilis, she spoke of some “hard truths” regarding the challenges related to the response. Minister Cummings warned that stigma and discrimination threaten the laudable gains made and can be considered a primary barrier to vulnerable populations accessing HIV prevention and other health care services. “From fears of contagion to negative social judgment, many persons in society often unwittingly engage in and encourage varying degrees of stigma and discrimination against persons living with HIV,” stated the Minister. Minister Cummings further reflected on the early history of the epidemic when the late Jonathan Mann, former Head of the World Health Organization’s Global Programme on AIDS, had identified AIDS-related stigma and discrimination as a third epidemic following the accelerated spread of HIV infection and the visible rise in AIDS cases. Minister posited that Mann recognized that stigma, discrimination, blame, and denial are potentially the most difficult aspects of HIV to address. However, she affirmed that tackling the factors that were outlined by Mann continues to be the key to preventing HIV transmission and mitigating the impact of the disease on individuals, families, and communities. The Public Health Minister said that an essential part of the Fast Track Initiative to end AIDS is the inclusion of key populations who are being left behind in the HIV response. This mainly occurs, the Minister noted, because of stigma and discrimination, which severely impact negatively on vulnerable groups who hesitate to be tested because of fear. These persons are ultimately left untreated. “As healthcare providers responsible for the health and wellbeing of our fellow human beings, we cannot be blinded by prejudice and insular judgment. If we are truly committed and determined to take the fight to end AIDS, then we must demonstrate that resolve by working with persons with HIV, including the key population component,” Minister Cummings emphasized. Minister recommended that faith leaders intensify their efforts to support public health initiatives by promoting the SAVE model – Safe practices, available medicines, voluntary testing and empowerment through education – at the individual, family, local, community and national level. She challenged Guyana’s faith community to work closer with the public health sector on removing barriers of stigma and discrimination and underscored that partnership and collaboration are integral to achieving the 2030 goal of ending AIDS.